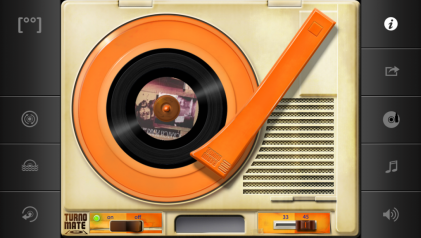 Vinyl mini turns your iPhone into a vintage record player. 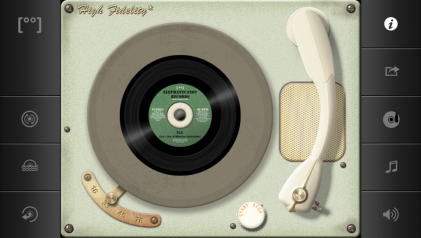 Listen to your music the old-fashioned way, while enjoying a crisp design, high-quality sound and cool technical gizmos. Vinyl consists of seven different record players, from plastic toy player to full-fledged hi-fi. 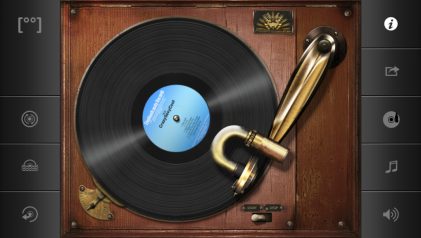 Every record player allows you to travel back to an old-school music experience. 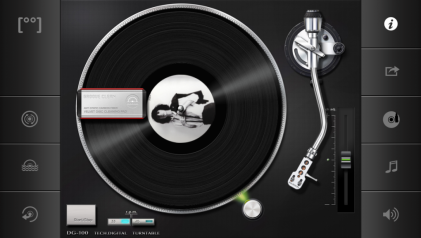 From the 1940’s to the start of the new millennium: Vinyl gives you the unique look, feel and sound. What’s more, records get gray and scratchy when played frequently. But don’t worry, you can restore them anytime by tapping the magical clean button. And wait ’till you shake your iPhone! Give it a try. If you have any comments, requests or bugs to report regarding Vinyl mini, please contact us.